Eating healthy in the summer when hot dogs and burgers are an option can be tough but there are simple, healthy options out there! More so than using these exact ingredients, this is just a rough guideline for a summer meal you can grill. Brown rice works well for this, too. I went for red quinoa and put it going in the rice cooker while i prepped everything else. 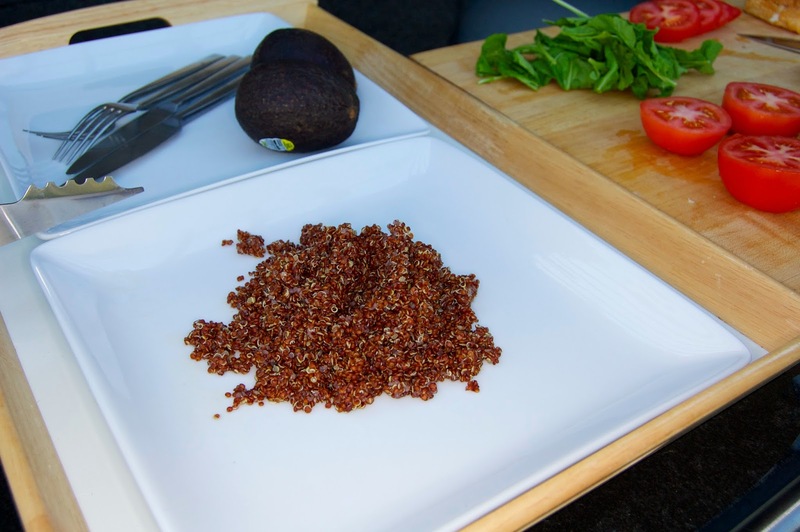 Typically you use 1 part quinoa to 2 parts water but check the pack! 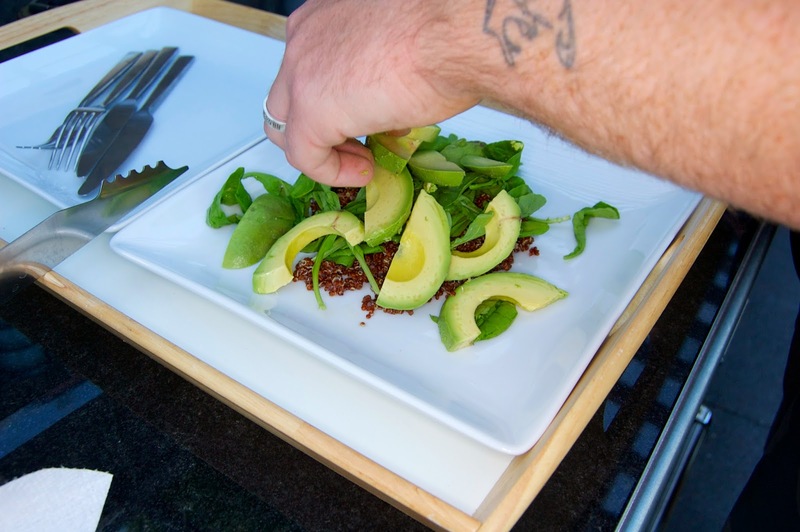 Then top it with your favorite leafy greens, i chose baby arugula for a peppery kick as well as a hit of phytochemicals and iron. I added a sliced up avocado but you can add whichever salady veg you prefer/have in the house. You could add cucumber, nuts, seeds, carrot.. whatever. Add your grilled veg on top and add a little more seasoning/oil/dressing if you fancy e voila..
You can substitute any of the grilled veg for things like eggplant, asparagus, zucchini, peppers, sweet potatoes... i could go on, really just use whatever you like or have in the house. 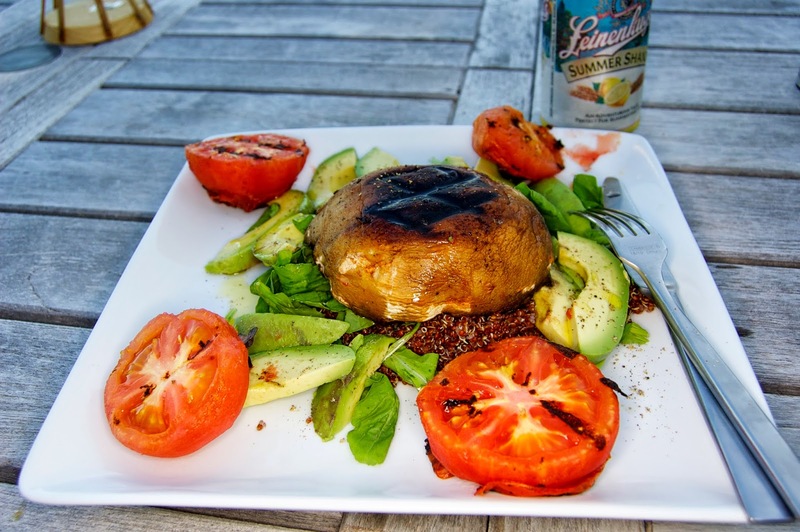 If you really just want a healthy burger you can also just whack the mushroom in a bun and add your condiments/fixings for a simple burger alternative. Hopefully this gave you some ideas for healthy vegan bbq options that aren't just fake meats and look bright and beautiful! Yum.